Candidates are John Culberson (incumbent R, unopposed in primary) and Lizzie Fletcher (D). Culberson is a three-term incumbent. He is the latest in a long line of Rs that have held the seat since 1967, including George H.W. Bush. He won his race in 2016 by 12%. Culberson says he’s for a balanced-budget amendment, but he does not vote like he cares about balancing the budget: He voted for the Omnibus spending and tax bills. He wants the feds out of education, believes oil and gas will remain key energy sources for a long time. He says Obamacare should be repealed. He thinks a CO2 carbon tax would harm the U.S. economy and that there should be no restrictions on anyone owning any kind of firearm. He is a strong supporter of NASA and investment in space. On immigration he says only that he’s for “border security.” He is endorsed by Ted Cruz and is supported by the NRA and National Right to Life. He is a standard, down-the-line right-wing R in the age of Trump. He has about $920,000 cash on hand. Lizzie Fletcher, backed by the DCCC, won a hotly-contested runoff against Laura Moser, to Fletcher’s left, with two-thirds of the vote. She holds a B.A. in History from Kenyon College and a J.D. from William and Mary Law School. She has practiced law, and she co-founded Planned Parenthood Young Leaders in 2000. She wants to ban assault weapons/bump stocks and prohibit anyone younger than 21 from buying a firearm. She advocates for (1) comprehensive immigration legislation; (2) maintaining/fixing Obamacare; (3) passage of the DREAM Act; (4) sustaining Medicare and Social Security; (5) public education; and (6) protecting voting rights. She is pro-choice, embraces clean energy and faults Trump for “taunting vulnerable nations.” She does not mention single-payer. She is a moderate progressive and has $363,000 cash on hand, about 40% of what Culberson has. Description of district: District 07 is a small district comprising often-wealthy suburbs to the West of Houston. It is 100% urban, 45% white, 13% black, 10% Asian and 32% Hispanic. Hillary beat Trump by 1% in 2016. Cook says that it is 7% more R than the average district nationally, yet Cook rates the race as a “toss-up.” There are good reasons for this rating: (1) this district is diverse ethnically and is changing; (2) Culberson seems like an old-school R out of touch with where the district is heading; and (3) Fletcher is a smart, but not radical, young woman, maybe just right for where she’s running in 2018. Summary: This feels like a D pick-up to me, BUT Fletcher is way behind on cash and Culberson, the incumbent, will receive millions from corporations and right-wingers. She needs our support. Candidates are Will Hurd (incumbent R) and Gina Ortiz Jones (D). Hurd is a two-term incumbent. African-American, he has a B.S. from Texas A &M, where he was student-body president. He was employed by the CIA in D.C. and as an Operations Officer in Afghanistan, Pakistan and India. He then worked in cyber-security in Texas until he ran for Congress in 2014. He has voted with Trump 97% of the time, including on the tax bill, Dodd-Frank amendments, the House Intelligence Committee report on the Russian investigation, Balanced Budget amendment, the Farm Bill, Omnibus Spending bill and a bill to outlaw abortions after 20 weeks of pregnancy. He opposes gun-control and climate change legislation. However, he voted against the Republicans’ replacement for Obamacare (AHCA), opposes The Wall, has been critical of Trump’s language re Latinos and Muslims and signed the pending discharge petition to bring immigration bills to the House Floor. So, he’s basically a Trumpster but splits with him when he senses that is what his district wants. He won by 1% in 2016 and, at the end of March, had $1.6 million cash on hand. Jones is a second-generation gay Filipina-American with a Masters Degree in Economics from Boston University on an Air Force ROTC scholarship. After school, she served in the Air Force in Iraq and worked at Booz Allan Hamilton, in the U.S. African Command and at the Defense Intelligence Agency. Her statement of issues is a little vague but it includes: (1) she favors “common-sense” gun regulation; (2) wants to protect DACA recipients; (3) wants to fix Obamacare and ultimately adopt single-payer; (4) supports access to reproductive services by women; (5) seeks authority for the federal government to negotiate prescription prices with drug companies; and (6) wants to eliminate Citizens’ United and discriminatory practices in employment. She won her runoff race on May 22 with 68% of the vote. She is what I’d call a careful progressive. She had $416,000 cash on hand at the end of March. Description of district: By far the largest in Texas, District 23 stretches from just East of El Paso all the way to western San Antonio, contains about 70% of the Texas border with Mexico and spreads North almost to Midland/Odessa. It contains 58,000 square miles and is larger than 29 states. 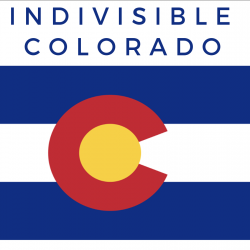 (Compare it to Colorado’s largest district (03) with 50,000 square miles.) It is 78% urban (defined expansively) and 22% rural: many small towns and open space and, relatively speaking, not well-off. Ranching and oil and gas extraction are key industries, but it also contains 20 national and state parks, including Big Bend, making tourism a growing economic factor. It is said to be 25% white, 4% black, 2% Asian and 68% Hispanic. Hillary won by 4% in 2016. Cook says it is 1% more R than the average U.S. district and that this race “leans R.” The district has switched back and forth between the parties over the years. Summary: Hurd is a smart, very skillful politician who knows how to appeal to the electorate of this overwhelmingly Latino and economically struggling district, but he may have voted with Trump too much for the district. Jones is no slouch either, with a compelling academic and professional resume. The question is her untested political skills in the general election in this huge piece of the cowboy/oil and gas Texas West. She has a decent chance, but she starts off at a significant financial disadvantage. She could definitely use our help. Candidates are Pete Sessions (incumbent R) and Colin Allred (D). Sessions is a ten-term incumbent. He is Chairman of the powerful Rules Committee, which determines whether legislation may go to the House Floor and, if so, under what conditions. He is a graduate of Southwestern University and worked for SW Bell for 16 years, retiring as a district manager for marketing in Dallas. He has a child with Down Syndrome and is said to be an advocate for people with disabilities. He has voted with Trump 99% of the time. He is pro-life, voted for the tax bill, is against greenhouse gas regulation, in favor of eliminating many EPA regulations, favors a balanced budget amendment to the U.S. Constitution, wants to keep the federal government out of internet regulation, favors repeal of Obamacare, favors concealed carry, has an A+ rating from the NRA and opposes all illegal immigration. His website is dated and contains many soft generalizations on policy issues. He won with 71% of the vote in 2016 against Green Party and Libertarian candidates. The Democrats did not run a candidate. He had $1.5 million cash on hand in March. Allred, an African-American, is a 35-year old civil rights lawyer who graduated from Baylor University, played pro football (Tenn. Titans) and then got his law degree from U. Cal Berkeley. He worked in the Office of General Counsel at HUD, then at a law firm (Perkins Coie). He won 70% of the vote in his runoff on May 22. He is well-known as a former local high-school athlete. His website has a detailed discussion of the issues that seem important to him: (1) he wants to protect and expand Obamacare, allow under-65 folks to buy into Medicare and allow the federal government to negotiate with drug companies; (2) in graduated steps, he would move to a $15/hr. minimum wage, accelerate job training, invest in infrastructure and enact paid family leave requirements; (3) he would prohibit discrimination on the basis of sexual orientation or gender, restore the Voting Rights Act, provide for automatic voter registration at age 18 and allow formerly incarcerated people to vote; and (4) require background checks on all gun sales and restore the ban on assault weapons and high-capacity ammo clips. He is pro-choice, will stand up for Planned Parenthood, he says, and for equal pay for equal work. He is progressive but not radical. He had $263,000 cash on hand in May. Description of district: This is suburban terrain NE of Dallas. It is relatively wealthy, 53% white, 14% black, 8% Asian and 24% Hispanic. Hillary won by 2% in 2016. Cook says it is 5% more R than the average U.S. House district and rates this race as “lean R.” Demographically, this district looks a lot like District 07, described above. It is changing ethnically and economically. Sessions looks increasingly out of touch with this district. Summary: This district offers an excellent chance for a D pick-up. Allred is a well-known, very attractive candidate and is way more in sync with where the district is going. However, the Ds did not even run a candidate in 2016 and, so, may have rusty party machinery. And Sessions is a long-term, powerful incumbent who will attract considerable resources from Texas and elsewhere. Yet, he is well-known for his unflinching support for Trump, who is not all that popular in the district. And he seems maybe “asleep at the switch” after having no Democratic opponent in 2016. Allred seems just the opposite, but he is way behind in funding. He needs and deserves our financial help.